One Wednesday, Nebraska got some great news when it added running back Maurice Washington‍ to the 2018 recruiting class. It was a hard-fought battle that Scott Frost won over Arizona State. Nebraska is adding another dynamic playmaker to an offense that Frost and offensive coordinator Troy Walters are trying to reshape on the fly. Here are my five thoughts on the signing. Washington can do it all. He can run inside and outside because of a good speed-and-power mix. He is a good route runner with good hands. You can’t help but notice his change of direction skills in his film, too. Having the ability to keep him on the field with another running back because of his versatility gives this offense a dangerous weapon. There are people that take swipes at private school ball in Texas, but Trinity Christian Academy gave Washington a big stage and great coaching. His head coach was former NFL player Aveion Cason and his offensive coordinator was NFL legend Deion Sanders. Washington’s excellent play on the field earned him a lot of attention and his signing was one of the biggest of National Signing Day. The Nebraska coaches went hard after Washington as soon as they were hired which set them apart. 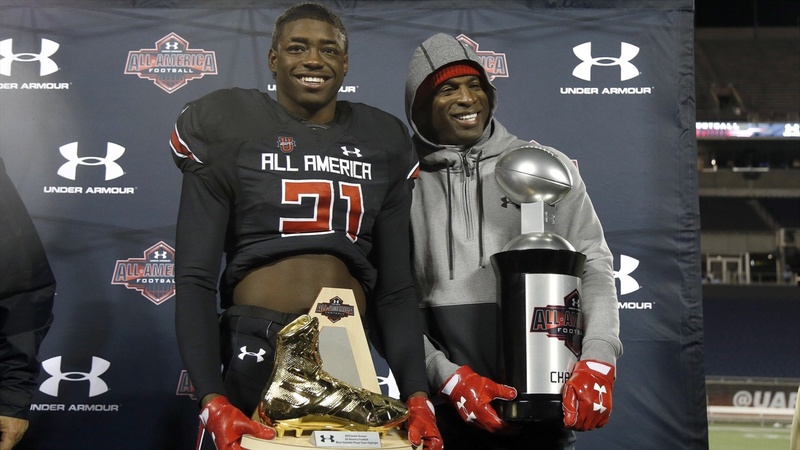 Of course he blew up after his MVP performance in the Under Armour All-America Game, but for most schools it was too late as Nebraska had already made a good connection with Washington. Ohio State and others came into the picture but Nebraska’s work here was outstanding. Washington is the type of player that will always play with an edge. His high school coach told me that he is strongly motivated by the loss of family members close to him and wants to succeed for them. He also has that scrappy, underdog mentality despite his supreme talents. Work ethic won’t be an issue with Washington. You will be hard pressed to find a better athlete coming onto the Huskers’ roster than Washington. Ohio State and Arizona State wanted him as a defensive back. Nebraska saw him as a game-changing running back. He has all the tools needed to be a great college player.